It is located 119 kilometers (74 mi) from Mansehra city at the altitude of 2,409 meters (7,904 ft).It is located 70 kilometers (43 mi) from Babusar Top. In Naran, the climate is subtropical highland (Cfb). 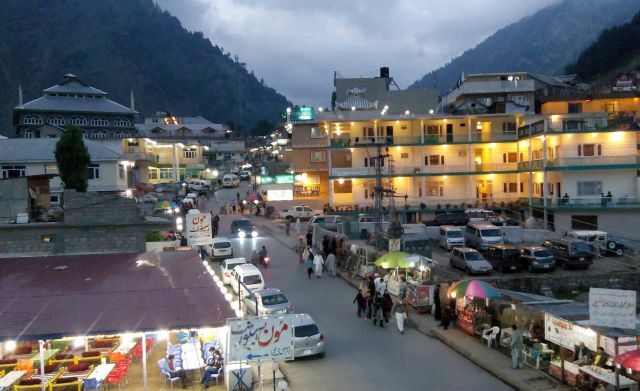 In Naran there is significant rainfall in summers and heavy snowfall in winters. Howeverclimate change is effecting Naran and the weather is changing, as for the last few years Naran is receiving less Snowfall. Naran is a famous summer destination as people enjoy low temperatures however it is rising each year. A Few years back, Naran roads were only accessible in June but now within the last three years Naran has been accessible even in late april as roads are cleared from sanow due to very less snowfall. Moreover, Naran remains busy in summer and trends shows that Naran has been getting visitors till late December. Even the driest month still has a lot of rainfall. 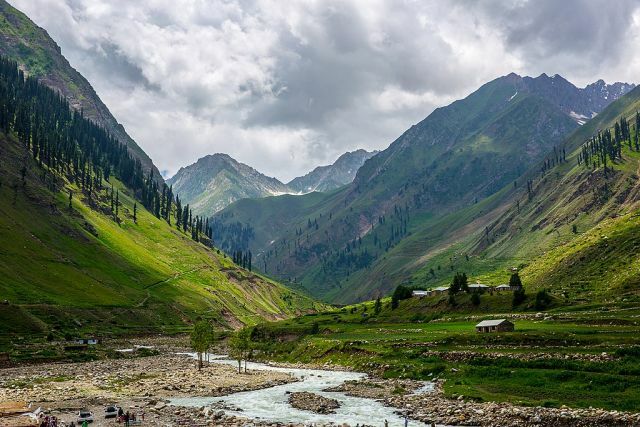 The average annual temperature in Naran is 10.1 °C. The region is Alpine in geography and climate, with forests and meadows dominating the landscape below peaks that reach over 17,000 feet. Following is the weather history of Naran.